Thank you for stopping by today, seeing as how you're exhausted after all that post-Thanksgiving shopping you did over the weekend. When you weren't eating leftovers. Or is that just me? I won't keep you cuz you know I have tons to do. I mean, I know you have tons to do. You can count on me for mostly uber-doober QACAS inspiration as it gets closer to Christmas. My cards today took minutes to make. The beautiful image above is NBUS from Unity. I had to buy it (cough) months ago after seeing it on my friend Shelly's blog and I finally got around to inking it up for Christmas. It was stamped onto a corner-chomped OLC base and clear-embossed. The Christmas flower was colored and shaded with Ziggies and the sediment is from Penny Black. Hammy winked the heck out of that flower. Hmm, maybe that's why the colors all blended. Bless his heart. 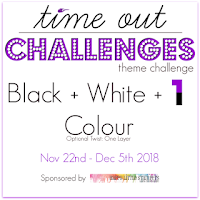 TIME OUT: Black, white, and one colour. 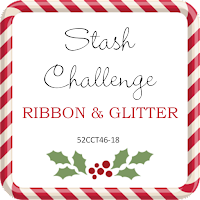 52 Christmas Card Throwdown: Ribbon & glitter. The Holly and Ivy Christmas: Anything goes. Thank you for becoming my follower. Great color combos for the pretty cards! The red really pops on these CAS black and white cards. Love them! Great ideas to make quick cards, the red adds a lot of festive feel to the black and white! Loving your classy CAS designs! 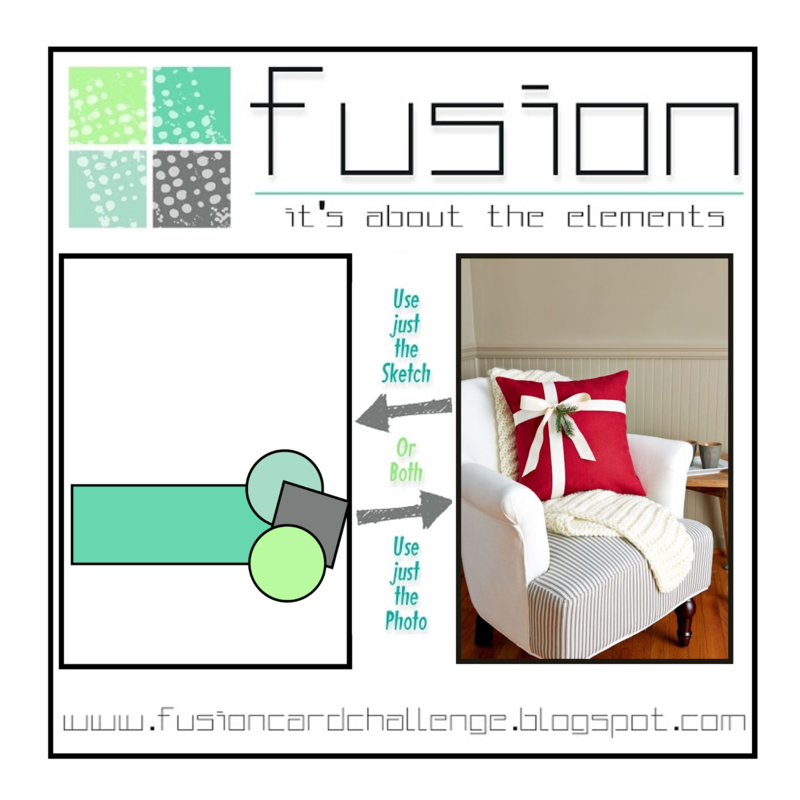 Red is the perfect accent with black & white and also great for Christmas! Rocking the Christmas cards, Darnell! I'm still stuffed from Thanksgiving so, no, not eating leftovers. I sent them home with the kids. I see you've got this black/white/one color thing down pat and beautifully so. Incidentally, I love the look of your ribbon...bows are a pain in the...well, you know. Two fun card designs Darnell. Oh, I know! I have to make some QACAS cards, too. My version of QACAS takes maybe a couple of hours as opposed to all afternoon. I love both stamps. Gosh, so nice to have that text stamp that makes the whole card. I can see the embossing quite clearly and it's very effective as the only special touch you need, but then you went and added the pretty ribbon. I tied a bow yesterday and it probably took as long as making the whole rest of the card, sheesh. Really love the cup and saucer with flower. What a cool and unusual stamp! I can see why you had to have it and it only took you a few months (ahem) to get around to it. Hey, that's not long, considering it can sometimes take years. Love red and black as a colour combination - makes for such elegant cards, and yours are no exception. 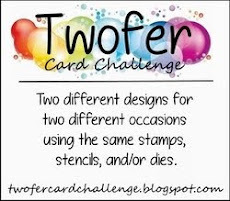 Two fabulous quick cards (something we all need to be making at this point in the year!!). Wonderful cards. The red and black look very dramatic. Both cards are gorgeous and festive. Thanks so much for playing along at Time Out. Two gorgeous creation Darnell, love the black and white and red colour combo. Glad you managed time to shop over the weekend and hope you found some bargains? Such a crisp and beautiful first card and what a wonderful stamped image. Yep I've done what Hammy did too and the colours just blended.....however in your case it looks beautiful x. So striking, Darnell, and so creative to put these 2 images together! 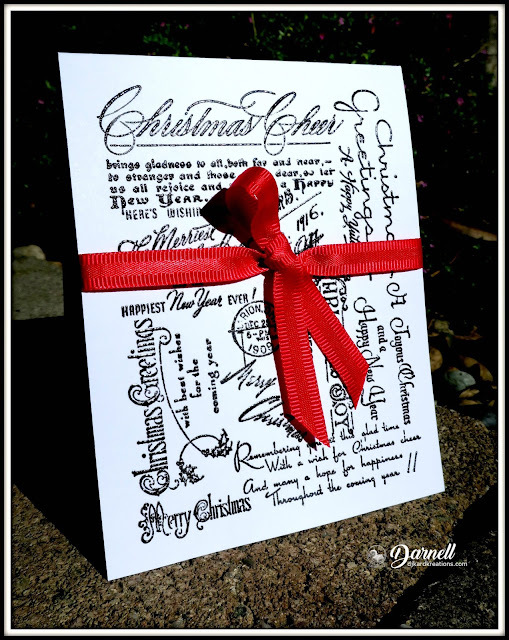 Two gorgeous black, white and red Christmas cards, Darnell! I love how Hammy winked and blended all those pretty shades of red on your bloom and how you 'wrapped' your 2nd card like a lovely gift! 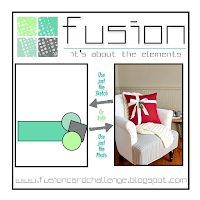 You did an amazing job keeping both cards CAS and I love how you used the inspiration photo for your design...Thanks so much for playing along with us at Fusion! Oooh, I love the black, white and red color combo (one of my favorites) and that one with the ribbon tied around it is perfection! Great way to use up all that ribbon in our stash too. 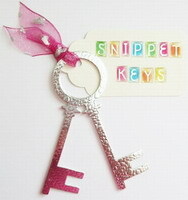 I may have to dig around and see if I can make a similar design with stamps that I have. Oh my goodness these are so beautiful with those striking colors of red and black! Love that flower especially! Hopefully your air quality has returned closer to normal now and you can enjoy being outdoors again. A gorgeous schparkly Christmas flower, Dolly! And I love your half bow! It's much more interesting than a regular one! What a lovely vibrant bloom! Both cards are oozing with elegance! 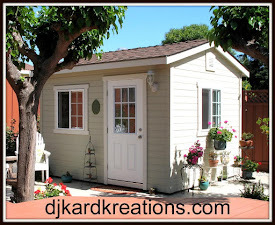 Love this combination of colors (my wedding colors) and you have rocked it for sure Darnell. Love these beautiful QACAS cards!! 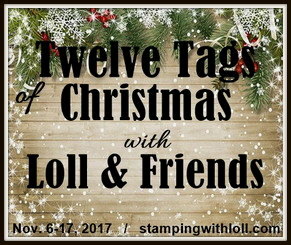 I have the background stamp from Stampendous and it is NBUS!! I really need to CASE you on that one! I am a bit tired from shopping today!! I have a nice haul of NBUS on the way to me tonight giggles!! Two wonderful QACAS cards Darnell, I really struggle withe OLC I always ave an oppsy at some point or it buckles and bends when I heat emboss. Maybe uber CAS but UBER awesome! Love the pops of red, and that first stamp is beautiful! 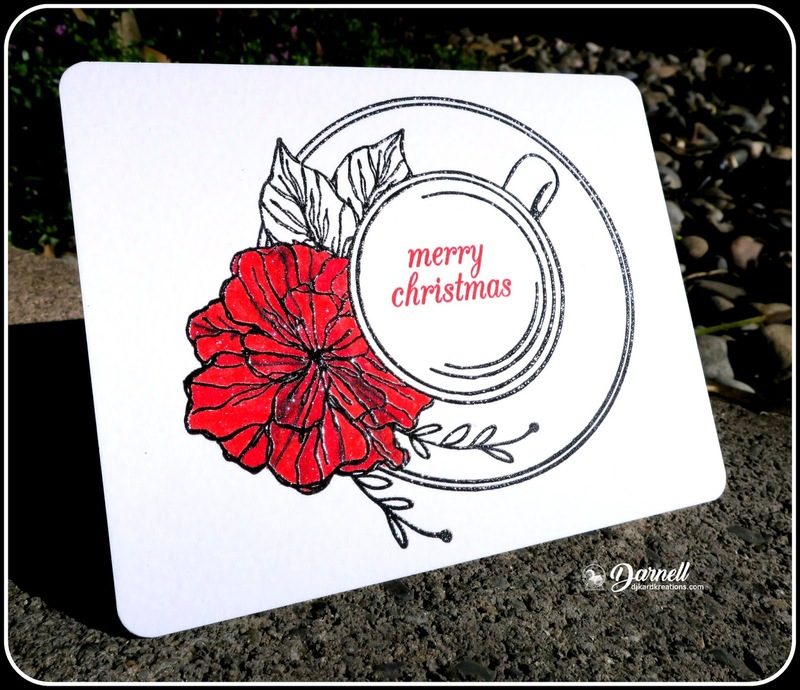 We all need quick cards if we are still making them in December Darnell and these look so festive with the beautiful pops of red. Hope you had a great Thanksgiving. Alice is 1 today!!! I know - where did that year go to? What's Black and White and Read allover?? Love the black white and red colours. Gorgeous cards. Two fantastic cards Darnell. Love the red and black. Darnell, I love the QACAS and the red and white...awesome Christmas cards and very festive! Such a great color combo & 2 lovely cards, Darnell! The flower is beautiful & what a neat design for the second card! I love quick and simple and both of these are lovely q&s. I don't think Hammy realized what would happen to the shading when he winked, but it is still beautiful. I love the black and white card. That is a very fun stamp and never goes out of style. The pop of red ribbon looks great. The ribbon looks to be in pretty good shape after being tied twelveteen times! Two great cards. Loving the way you coloured part of the image only! It looks fab. Drooling over that shiny embossing and gorgeous red bow. Talk about eye candy! QACAS is good in my book any day, Darnell. Love the Hammy winked flower and the cheaters bow is very stylish.